Filters for Digital Photography itself can be a big chapter. With multiple articles and easy representation, we have made Filters easy to choose for Photography. The number of articles published in this website on Filters for Digital Photography, both about the technical part and methods are not less, now as some Filters still make sense, rather they are required to obtain certain results with DSLR, in this article we will list you as the filters are still useful in the age of digital photography. In photography, a filter is an accessory that is screwed (fixed somehow) in front of the lens and allows you to add effect on a photo. For analog photography (the one with the film) filters are indispensible. Basically, since the post-production is more difficult than that for digital photos, if you shoot in analog you can do a “pre-production” better using precisely the filters. So, you can use it to alter the colors and other aspects of the picture without having to resort to Photoshop. Many of the useful filters in analog photography, no longer needed in digital photography. The same effects can be achieved on the computer, with more control over the final result and high quality. Some filters, however they still make sense, rather they are required to obtain certain results. Those are listed in this article – Filters for Digital Photography. You can read more technical details from previously published article on Filter in Digital Photography. Saturation increases, thanks to the removal of the reflections in the microscopic water droplets suspended in the air. The polarizing filter has the only defect by reducing exposure to one or two stops. So, to have the same exposure, you will need to increase the shutter speed or ISO or use a wider exposure. To investigate the use of the polarizing filter, read this article on Polarizing Filter in Digital Photography. The neutral density filters are also known more simply as ND filters. They have only serve the purpose of reducing the amount of light that enters the lens. Why this is needed? Well, there are some situations where you need to use slow shutter speeds or in general longer than the automatic calculation of exposure. If the available light is too much, in order to lengthen the shutter speed you can use a higher value for the opening (assuming that you already set the ISO to a minimum). However, very high values ? ?can cause diffraction. Also, opening in many situations it may not be enough. In these cases, not being able to control the sources of light, the only possibility lies in the usage of ND filter. A filter of this type appears as a piece of glass that is more or less dark screwed front of the lens. More detailed article on ND Filter is here plus here is an example guide for using ND filter – Guide to Long Exposure Photography with Neutral Density Filter. Close-up Filters are just economical alternative to a macro lens. Basically, they serve the purpose of reducing the minimum distance of lens focus to afford higher magnifications. 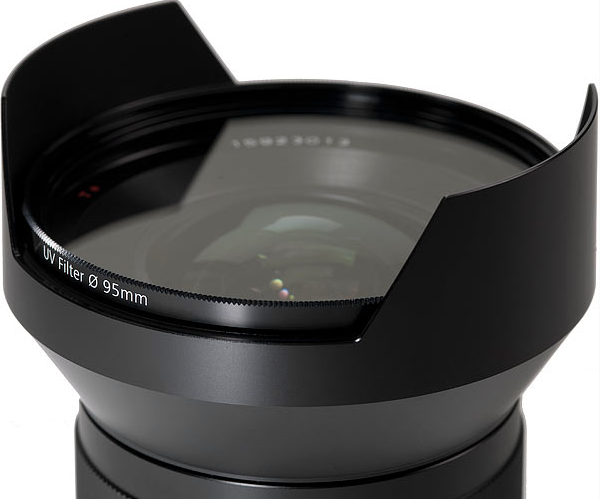 Detailed article on Close-up Lens or Close-up Filters can be read here. In fact, many recommend to buy a UV filter for each lens you own, mount it and not remove it anymore. In this way, if the lens takes a knock on the front, it will damage or break the UV filter, not the lens. As a UV filter costs between 10 and 30 USD, sacrificing one of these filters in place of a lens that costs hundreds or more seems a good strategy. UV Filter’s role in Digital Photography can be read here. Cite this article as: Abhishek Ghosh, "Filters for Digital Photography : A Detailed Article," in The Customize Windows, September 28, 2013, April 21, 2019, https://thecustomizewindows.com/2013/09/filters-for-digital-photography-a-detailed-article/.